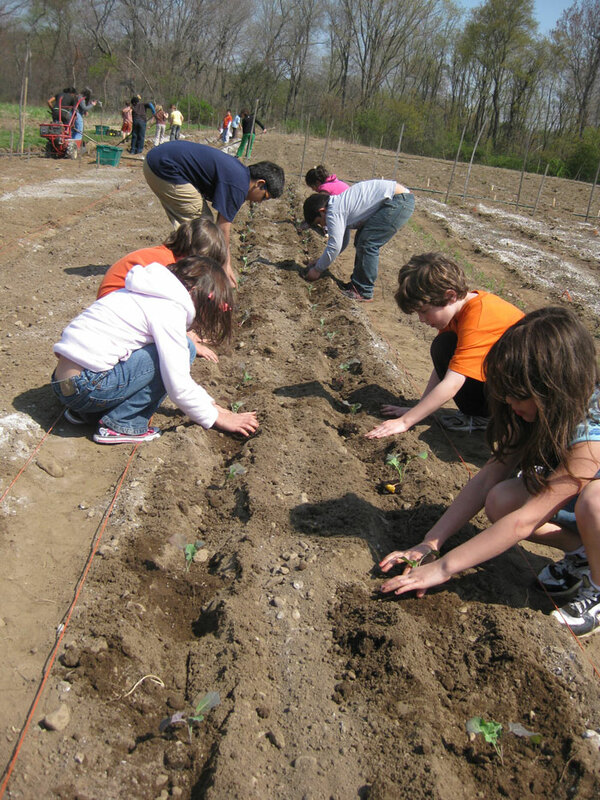 Gardening with kids provides adults with countless learning experiences. This is part of the joy of working outside in natural places with kids. However, it can also provide barriers and hurdles if you are a parent or teacher who already has a lot on your mind. I’ve listed a few key tips below so that you don’t need to have as many bumps in your path to growing an amazing garden with your kids or students. Have enough tools for everyone. Nothing invites destructive behavior or disinterest more than idle hands and nothing to do. Being able to jump right into a physical task without too much talking and listening is what makes gardening fun – especially for kids who aren’t succeeding in school. Take advantage of this and make sure everyone has the tool they need to get right to work! If you’re working with a limited budget, you may need to split into smaller groups so that you don’t need tons of every type of tool. Don’t worry too much about straight lines or an orderly garden. It is important to give clear planting instructions, practice following directions from the back of a seed packet, and learn how to handle plants without hurting them. It is also important, however, for adults to let kids take it from there. Lines might be wiggly. Seeds might be planted too deep or not deep enough. A seedling might get broken. However, some plants will grow and students can say: “I did that!” and really mean it. Buy a few extra seedlings and seeds to allow for some loss and to ensure a bountiful garden. Treat everything as a learning experience – there are no failures. If a row of seeds doesn’t come up, ask why? Were seeds planted too deep? Was it too cold? Did anything eat the seeds or young sprouts? This is the perfect relevant scientific mystery that prompts kids to practice all of those standards they are working to “achieve” in the classroom. If a snail eats all the rainbow chard, talk about the garden’s role in an ecosystem or food chain. 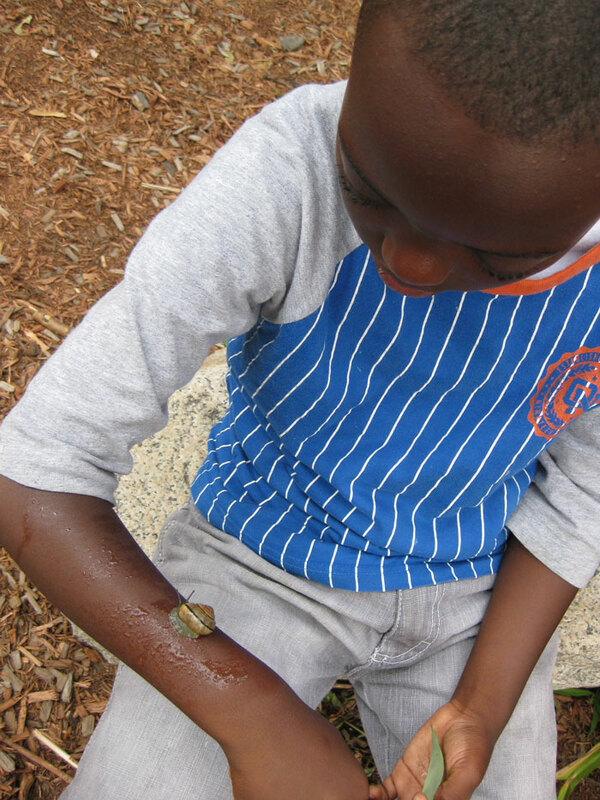 Learn about snails! If food goes missing, talk about how we could help our community’s hungry families plant their own gardens. Don’t like the taste of the plant you worked so hard to grow this summer? Think about flavors you do like and start planning for next year! Let kids have decision making power. 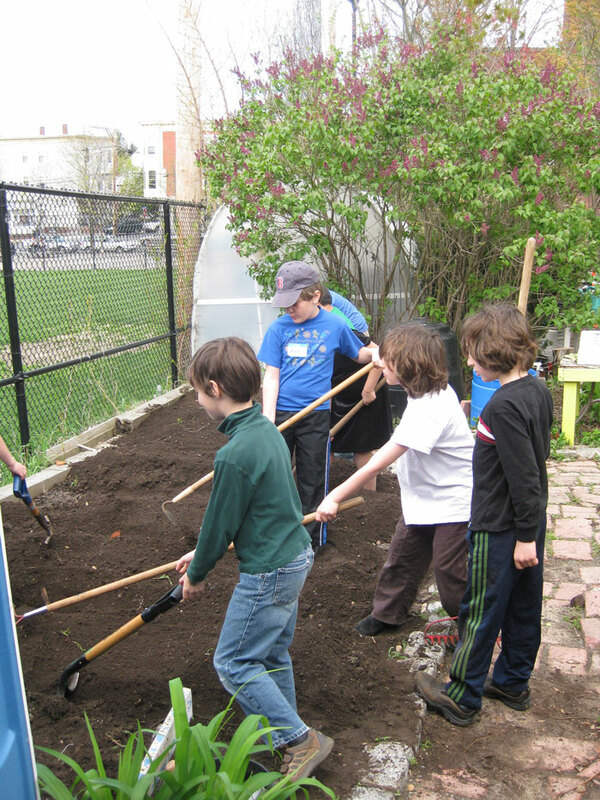 When gardening, there are so many opportunities for students to be empowered. Which varieties should we grow? Where should things get planted? Should there be flowers too? If you have room, it’s great to give kids their own small space next to the family’s larger production garden. If they loose interest, that’s fine. If not, the possibilities are endless. 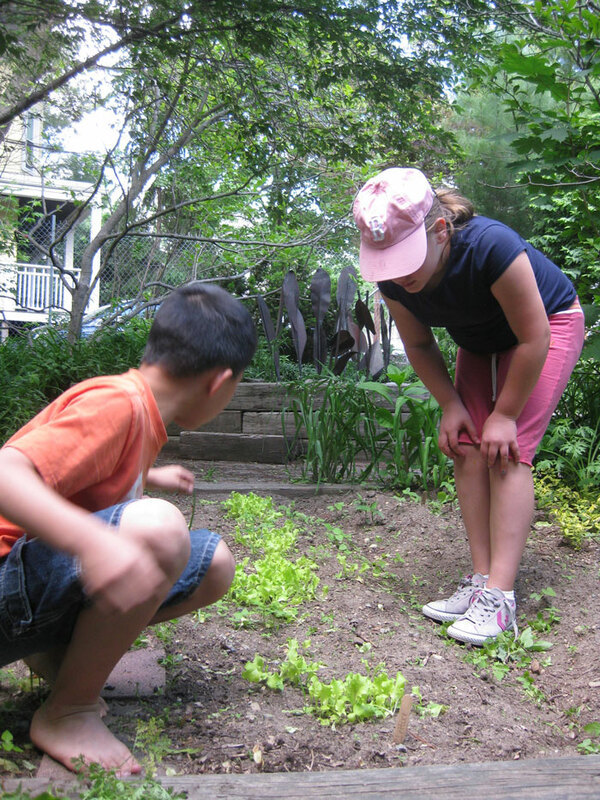 It’s fun as a parent or teacher to see how kids’ gardens grow and evolve over the season. Don’t worry about production. This is especially true with younger children. Gardening with kids should be about being physically active outside, learning from mentors, long-term planning and rewards, environmental health, teamwork, learning where food comes from, getting to know plants intimately, community service, and more. Often, we are rewarded with delicious produce, but never forget about all of the other benefits and rewards of gardening with kids! Have plants that look good, smell good, and feel good. Flowers make the garden an inviting place for humans and pollinators. Herbs can be picked for tasting and smelling throughout the growing season. 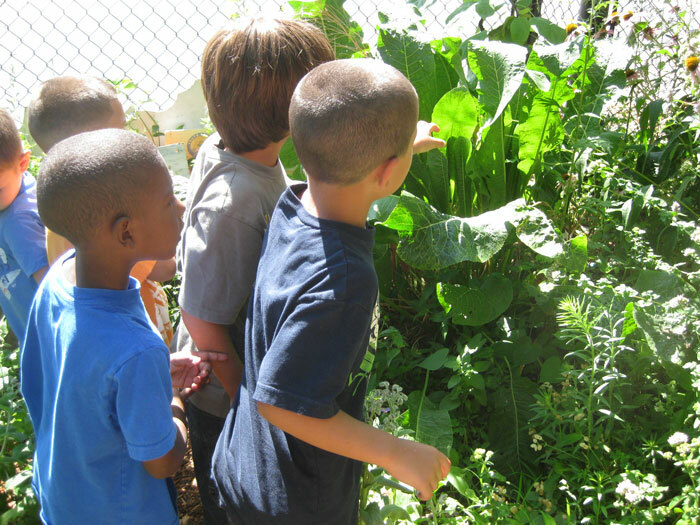 Having furry, smooth, prickly, and ridged leaves helps students experience the garden and build comfortable relationships with plants before they are asked to try eating new flavors and textures. 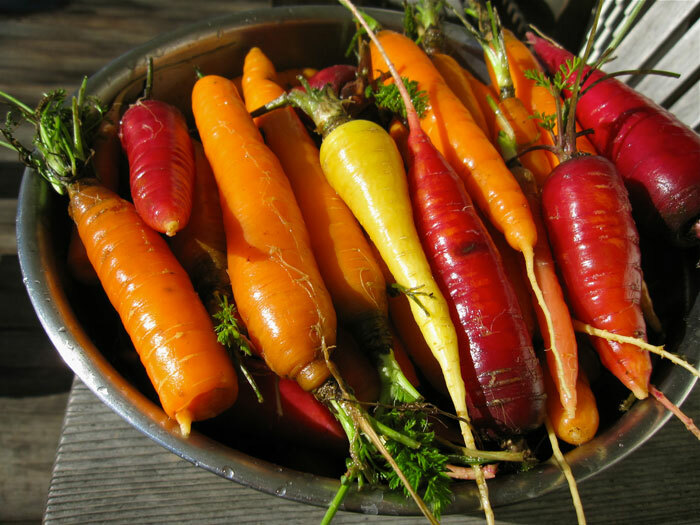 Try varieties with fun features: multi-colored carrots, giant pumpkins, or bite-sized tomatoes. I always plant familiar plants. I also love adding in some unfamiliar ones (like kohlrabi), bite-sized ones (tomatoes, peppers, cucumbers, carrots, and more), giant ones (pumpkins and sunflowers), and multicolored varieties (chard, carrots, string beans, tomatoes, and more). A garden should be a fun safe beautiful place for discovery, experimentation, and learning the flavors you love. 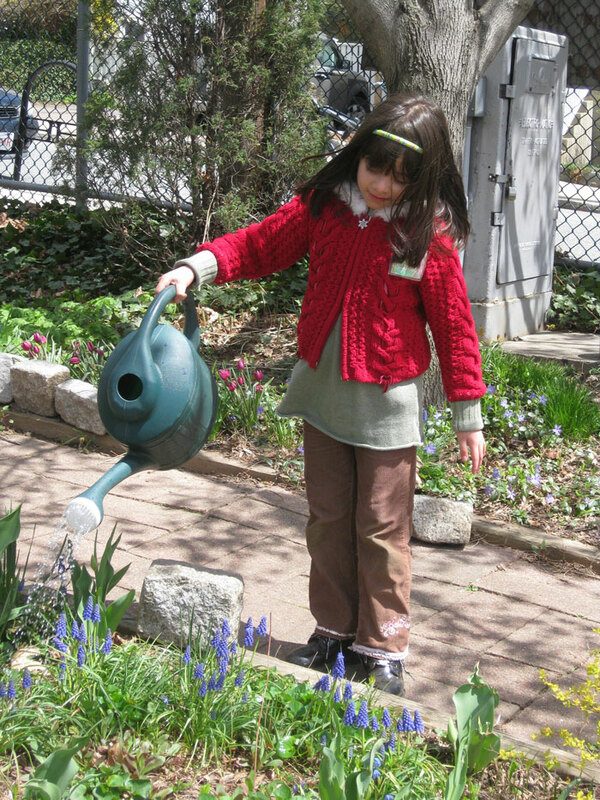 This entry was posted in Children and Nature, Home Gardens, Personal Sustainability: How-To, School Gardens and tagged discovery, empower, fun, gardening, kids, learning, students, tips. Bookmark the permalink.